The contributions from the Las Vegas couple are the largest to date. A legal defense fund set up to help President Donald Trump's aides caught up in special counsel Robert Mueller's investigation into Russian interference in the 2016 presidential election received half a million dollars from casino mogul Sheldon Adelson and his wife Miriam Adelson, a new report filed late Thursday shows. The Patriot Legal Expense Fund Trust has been raising money since it was established in February 2018. The contributions from the Las Vegas couple are the largest to date. 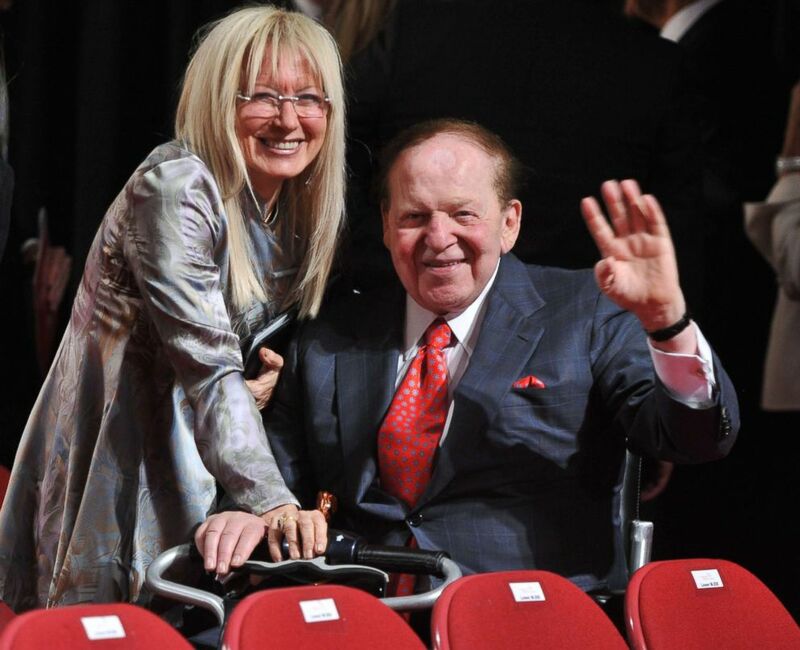 Adelson and his wife have long been prolific donors to Republican candidates and causes. They have given nearly $500,000 to Trump's fundraising committee and $30 million to pro-Trump super PACs since he became a candidate, according to campaign finance records. Trump in November bestowed the Presidential Medal of Freedom, the national's highest civilian honor, on Miriam Adelson. (Nicolas Kamm/AFP/Getty Images, FILE) US business magnate Sheldon Adelson and his wife Miriam Ochsorn pose for photographers after attending the first presidential debate between US President Barack Obama and Republican challenger Mitt Romney in Denver,Colorado on October 3, 2012. Set up to help pay legal bills for any Trump campaign employee, consultant, fundraiser or volunteer questioned in the Mueller probe, excluding Trump family members, the Patriot Fund has received big checks from a handful of prominent Trump campaign donors, including $150,000 from recycling mogul and Mar-a-Lago member Anthony Lomangino, $100,000 from Beverly Hills real estate developer Geoffrey Palmer, $50,000 from longtime Trump associate Phil Ruffin, and $25,000 from Continential Resources CEO Harold Hamm, the report showed. But the identities of people being supported by the fund are still under veil as reports filed to the Internal Revenue Service only listed law firms that are being paid by the fund, not the clients. According to the new filing, the Patriot Fund spent about $335,000 in legal expenditures in the last three months of 2018, including $107,695 to Aegis Law Group, $100,293 to Jones Day, $54,048 to Mintz, Levin, Cohn Ferris, Glovsky & Popeo $40,000 to King and Spalding and $33,000 to Berliner, Corcoran & Rowe. Legal expenditures reported in previous reports included a $114,000 payment to Akin Gump Strauss Hauer & Feld and $8,400 to Schertler & Ontario, which has represented former Trump bodyguard Keith Schiller, who has testified before the House Intelligence Committee. The disclosure reports don't detail who the beneficiaries of the legal payments were. Since 2017, the Trump campaign has spent more than $6.6 million on various legal services, including more than $276,000 to a law firm representing Trump's former personal attorney Michael Cohen, according to ABC News' previous reporting. The Republican National Committee has also been lending a hand, paying nearly $590,000 to a law firm representing Trump's former communications director Hope Hicks. Both the Trump campaign and the RNC has also paid more than $514,000 to a firm representing Donald Trump, Jr.